There's a curious moment in the Republic where Socrates mentions purple eyes. Purple is the most beautiful color, Plato has the young men agree. And eyes are the most beautiful part of the body. So why, Socrates asks, do we not use purple to paint the eyes of statues? Part of the answer, the Republic suggests, is the need for each part to play its proper role in the construction of the whole. But this implies a curious fact in aesthetics: Beauty does not come from simply stacking one beautiful thing on top of another. Beautiful parts need not make beautiful wholes. Large conclusions in the theory of art arise from this point of Plato's. Large conclusions in the theory of many fields, for that matter. An assembly of efficient parts doesn't necessarily make for an efficient whole. An accurate collection of small historical facts doesn't necessarily give us an accurate account of history. A set of interlinked short stories doesn't necessarily cohere into a novel. Or take The First Conspiracy, the recent nonfiction book published by mega-bestselling novelist Brad Meltzer with help from his friend, the documentary producer Josh Mensch. An account of an attempt to assassinate George Washington in the early days of the Revolutionary War, The First Conspiracy uses the techniques of Meltzer's popular thrillers to do the work of nonfiction, relating an underappreciated moment of history. And the result is purple eyes. The book is just not as good as it should be. We get neither the drive of a fictional thriller, to which readers bring the willing suspension of disbelief, nor the power of a historical tome, to which readers bring a willing trust in the author's grasp of context. Not that The First Conspiracy fails completely as what we used to call an airplane book. A little bulky at 400 pages, it rips along fast enough to complete on an overnight trip across the country. As we are led through the early moments of the revolution, the story begins with a hanging—"the unhappy fate of Thomas Hickey," as George Washington announced on June 28, 1776, "executed this day for mutiny, sedition, and treachery." Twenty thousand soldiers and New Yorkers gathered to watch the traitor swing. The spring of 1776 had seen Washington march the nascent Continental Army from Boston to New York, aiming to defend the city against the anticipated British occupation. He would prove unsuccessful, and the role of New York as the locus of British control and Tory sympathy during the Revolution has been well documented in several recent histories, from David McCullough's 1776 to Joseph Ellis's Revolutionary Summer. We live in an age of popular retellings of the Founding—Hamilton, anyone?—and The First Conspiracy is clearly intended to fit into that genre. But the authors Meltzer and Mensch see more in the minor story of Hickey's execution than the Joseph Ellis footnote that Meltzer has said put him on the trail of a plot against the Americans' commanding general. New York wasn't just a hotbed of anti-revolutionary agitation once the British troops took control. From the beginning the city contained figures unhappy with the presence of revolutionary troops, the slowly growing reputation of George Washington, and the work of the Continental Congress (just days from signing the Declaration of Independence). Meltzer and Mensch insist that many of those unhappy British loyalists joined in a cabal—a vast conspiracy—to eliminate the problem. The city's mayor, David Mathews, was involved. So were merchants, spies, and one of Washington's guards: Thomas Hickey, the assigned assassin or maybe kidnapper. There's a suggestion of the problem with The First Conspiracy in the fact that authors can't quite decide what Hickey intended to do. The documentary evidence that allowed Joseph Ellis to build a footnote proves scanty material from which to construct a whole book about "a clandestine plan to strike a knife into the heart of the rebellion," and the wind blows through many gaps in the scaffolding. Still, in Meltzer and Mensch's view, the head of the conspiracy was the colony's governor, William Tryon, whose role in the early days of the revolution has been underappreciated—as maybe it should be, for the conspiracy turned out to be a fiasco. Hickey was a fumbler, and the plan was spread widely enough that news about it was bound to leak. Two of Hickey’s fellow guards were arrested for spending counterfeit money, and in jail they told a fellow prisoner (yet another counterfeiter) about the plan. A foreman at an iron mill, hunting down missing workers, uncovered more evidence. And with those clues, Washington's inner circle easily quashed the whole thing. The thriller elements rise here to the big conclusion of such things. In 2011, Brad Meltzer had the number-one national bestseller with The Inner Circle, the first in the planned "Culper Ring" series of novels, premised on the idea that a secret spy organization founded by George Washington still exists, influencing America in ways unknown by the general public. (The third volume in the series, The President's Shadow, appeared last year.) 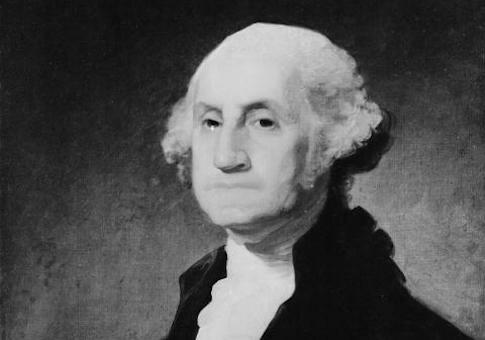 In The First Conspiracy, we get the claim of something like a real-life counterpart: "he discovery of this plot, and the effort to investigate it, led colonial authorities to devise new systems of intelligence gathering and counterespionage," for "this strange plot against George Washington would lead to the establishment of a whole new field of American spy craft—now known as counterintelligence." Should we believe it? Not much evidence suggests the plot was as far reaching or murderous as Meltzer and Mensch paint it. Not much of the evidence suggests that the plot was plotted, for that matter. Hickey was caught boasting only that he would help the British, and when Washington reported on the matter, he never mentioned assassination. A "Secret Committee" may have been created to follow up on the hints on covert action, but Hickey was its only prosecution. Still, Hickey's Conspiracy might have happened in the way Meltzer and Mensch imagine. If readers find themselves dubious, one reason will be the thriller construction of the book. The First Conspiracy consists of short chapters, filled with more action than expected. In a thriller, we happily suspend disbelief for that excitement. In a work of history, it damages the trust we need to bring to the reading. As does the modern slang, the easy contractions, the overstatements, and the overall tone of the popular fiction writer. Not that those are bad things. From The Guns of Navarone in 1957 to Robert Ludlum's 1980 The Bourne Identity—to Brad Meltzer's The Inner Circle, for that matter—the well-practiced mechanisms of the thriller are what rightly make these books bestsellers. Unfortunately, when brought to history, they seem more like an author painting the eyes of a statue purple.